This is a marbled White and Yellow Cheddar. 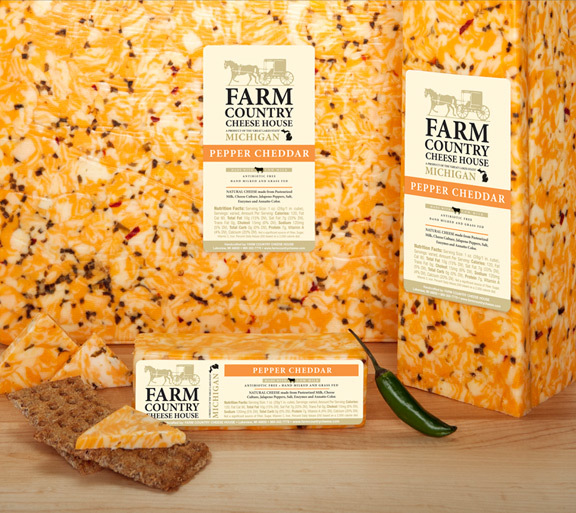 In addition to looking like a work of art, this cheese is mixed with Jalapeno Pepper which brings a sweet but spicy flavor. 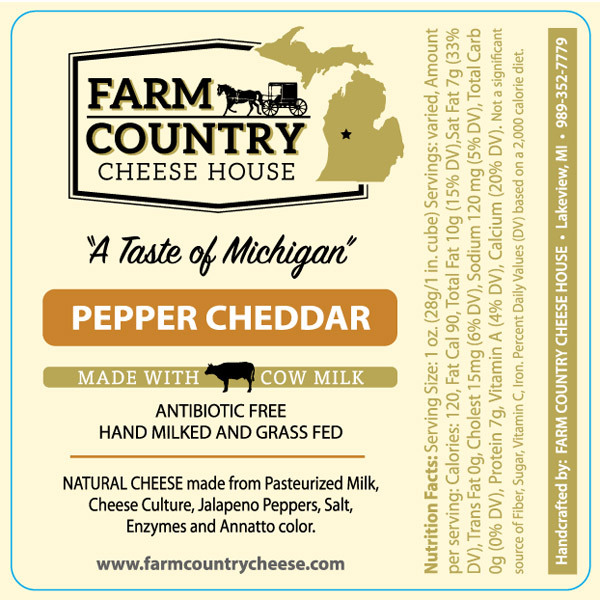 This cheese is the mildest in heat of our pepper cheeses.